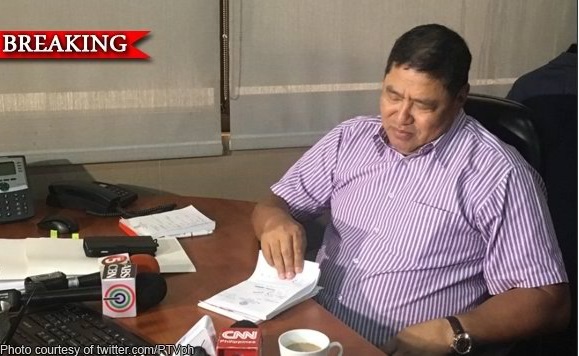 Justice committee chair Rey Umali isn’t buying any of Sen. Leila de Lima’s attempt to get public sympathy over charges made by convicted drug lords linking her to a drug protection syndicate inside National Bilibid Prison. ‎Umali issued a statement after de Lima mocked the House probe which showed that President Rodrigo Duterte has made drug lords led by Herbert Colanggo as his primary allies in destroying de Lima when drug lords should have been his main target in his war on drugs. Umali defended the House decision to give legislative immunity to Colangco and a dozen high-profile inmates just to get their testimony that they bribed de Lima ‎with campaign contributions and that she allowed convicted drug lord Jaybee Colangco to control the drug trade at NBP. “Does she expect angels to squeal? We summoned witnesses who have first hand-knowledge of the illegal activities in prison. Who else can they be but convicted criminals themselves?” asked Umali. Umali said de Lima has no choice but to attend the hearings because the Bureau of Corrections which oversees the NBP was under the Department of Justice which she headed during the previous administration. “If she really wants to clear her name and help government stop the proliferation of illegal drugs not just in the NBP but also in the entire country, then she may wish to appear in our next hearing instead of casting aspersions on the integrity of our probe through media,” said Umali. Aside from mocking Duterte, de Lima claimed that the House had violated her privacy when it allowed drug lords to disclose her mobile phone number and her home address in Paranaque City.